The opening of the exhibition was done by Kim Kum Pyoung – Director KCCI. Other dignitaries present were Lee Jee yoon(Wife of H.E Cho Hyun, Ambassador of Republic of Korea to India) Mi Ryung Maeng, president of the Dahewa Flower society, Korea, Koo Sang-su, President of the Korean Association in India, along with artists and viewers. Artist Mi Ryung Maeng had used lotus, roses, orchids, blossoms, leaves, ferns and grasses in her art work. She explained that the use of cactus represented to boycott impurities in love. Artist ‘Soon Hee Park’ showed happiness of a couple through her artwork. It explained that through collecting knowledge and wisdom, one can march towards the future. Artist ‘Young Hye Choi’ used chopsticks which showed the tradition and spirituality to be followed after marriage for the long life and happiness. In Korean Culture, Bokjumeoni, is a Korean lucky pouch made of silk cloth which is used in the ceremonies such as su which means long life, bok means fortune, bu represents wealth, gwi means nobility and hui means joy. The red and blue cloth represents Yin and Yang which means the interconnection. The combination all these materials were showcased gracefully. The art work was minimalistic and evoked peace. The flowers were brought from Korea and were used as symbol of love used during Korean wedding. Each arrangement spoke of harmony, vow, delight, peace, courage, affection, respect, and nature’s beauty which also conveyed that marriage is a unification of two hearts and spending life together. 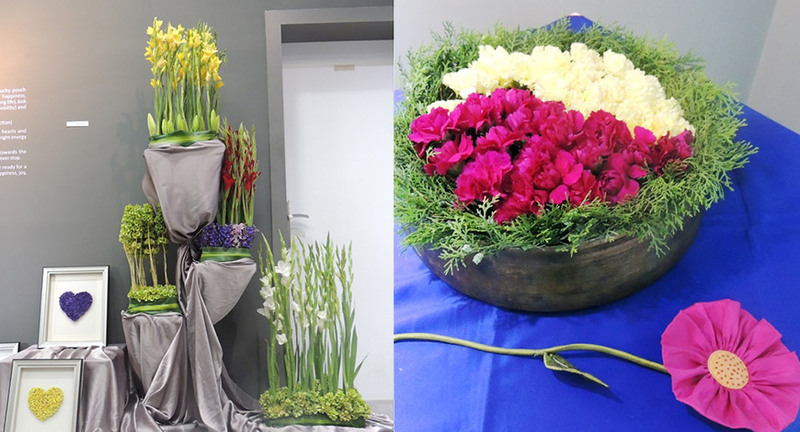 In a simple white ceramic containers flower were arranged, setting off yellow against purple carnations in a stunning arrangement with roses, lilies, orchids which were the exquisite examples of natural floral art. With the help of Korean tissue paper, containers holding flowers and bride jewellery boxes were made. Lee Jee yoon (Wife of H.E Cho Hyun, Ambassador of Republic of Korea to India) said that, “The exhibition is full of creativity and efforts of participating artists. Korean flower arrangement has different charms from Japanese or others, which can be seen in the harmony of each piece arranged for presenting happiness of marriage. I hope flower lovers in India and Korea build a friendship through this exhibition." 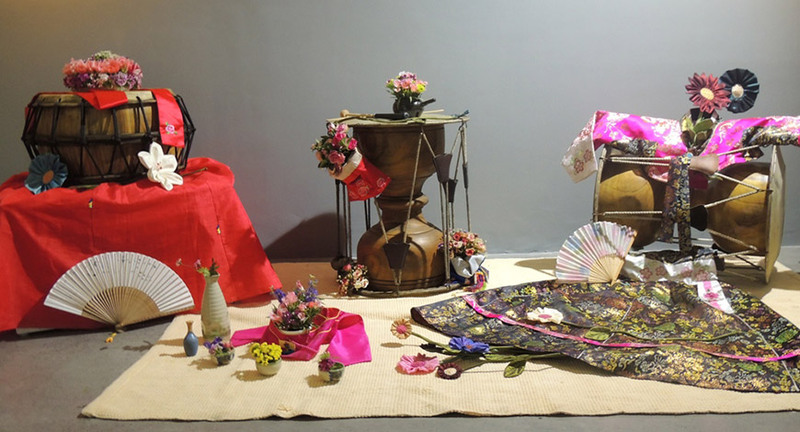 Mi Ryung Maeng, president of the Dahewa Flower society said that, the theme of the exhibition, "Korean Traditional Marriage" was set aside in mind for the Korean Cultural Centre India promoting Korea's cultural heritage. I hope the flower exhibitions in future are also devoted to promoting Korean culture in India”.